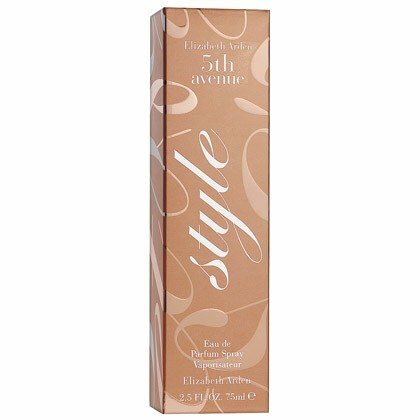 5th Avenue Style is a perfume by Elizabeth Arden for women and was released in 2009. The scent is fruity-floral. The production was apparently discontinued. 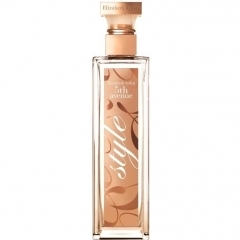 Most of Elizabeth Ardens scents I have purchased, I liked or even love, so, when I came across "5th Avenue Style" on a clearance sale I didn't hesitate to blind buy. The promise of chocolate, peach and vanilla sounds soo good! BUT! On my skin the notes must have morphed into different ones! At first spray I get a gust of lemon...a bad lemon, reminiscent of washing-up liquid or a cleaner. Then a harsh pepper note joins in and actually made my nose itch to the point I thought I was going to sneeze!? Obviously 5th Avenue Style is not in Style with my chemistry. Now, this doesn't happen often bad when it happens it's a fatal thing. I can't wear it because it also makes me dizzy. I gave it to my neighbor who loves it! Re: White chocolate, Gourmand heaven. "5th Avenue Nights" is all these things and is VERY yummy! (please read my review if you like) and was a blind buy I enjoy very much. So, if your chemistry is like mine and you -also- had a bad encounter with this one but liked the idea of a EA white chocolate treat, try that one. Chemistry IS the invisible ingredient that WE add to ALL scents that we wear! I know that but still blind buy...I'm an olfactory Daredevil ; )...and with that comes risks I guess...Alas. 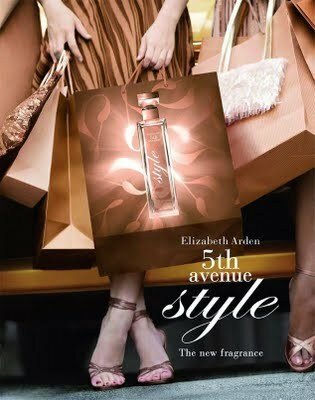 5th Avenue Style is fashionable and fun gourmand scent. I could easily wear it to a cocktail party, an evening out or simply to work. It is certainly sweet but there are other layers to this fragrance that makes it interesting enough to keep it in my gourmand’s collection. First of all I like the zesty bergamot opening with spicy pink pepper. I smell both peach and plum in the heart notes and this is where the scent becomes really sweet. 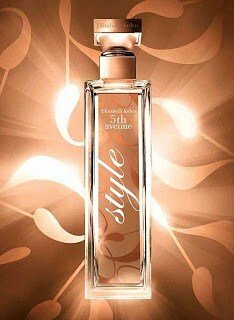 The floral notes are strong and a bit sharp following the grand tradition of the original 5th Avenue. There also a slight chocolate accent, which is extremely nice but it does not smell to me very chocolate-y. It could be nice if the chocolate was just a little bit more noticeable. I think it will work superb here. The dry down is a light vanilla with a dab of chocolate and woody notes from oakmoss. I think that both, longevity and sillage are pretty good. This is a nice gourmand for grown-ups. Versatile, easy to wear and stylish. Write the first Review for 5th Avenue Style!